It’s happening! 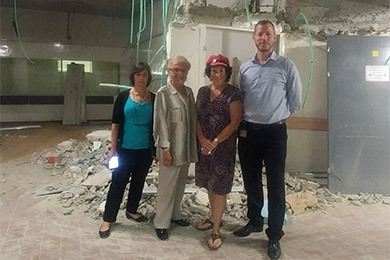 This summer, work crews began the extensive renovation and expansion of the iconic Round Building at Hadassah Hospital Ein Kerem. Since 1960, the population of Jerusalem has tripled, and the medical needs of the city’s patients have grown exponentially. We’re thrilled to be a part of a thriving, growing Jerusalem. Now is your chance to help keep HMO at the forefront of medicine in Israel and around the world. Learn about Hadassah’s bold vision for the future of Jerusalem.